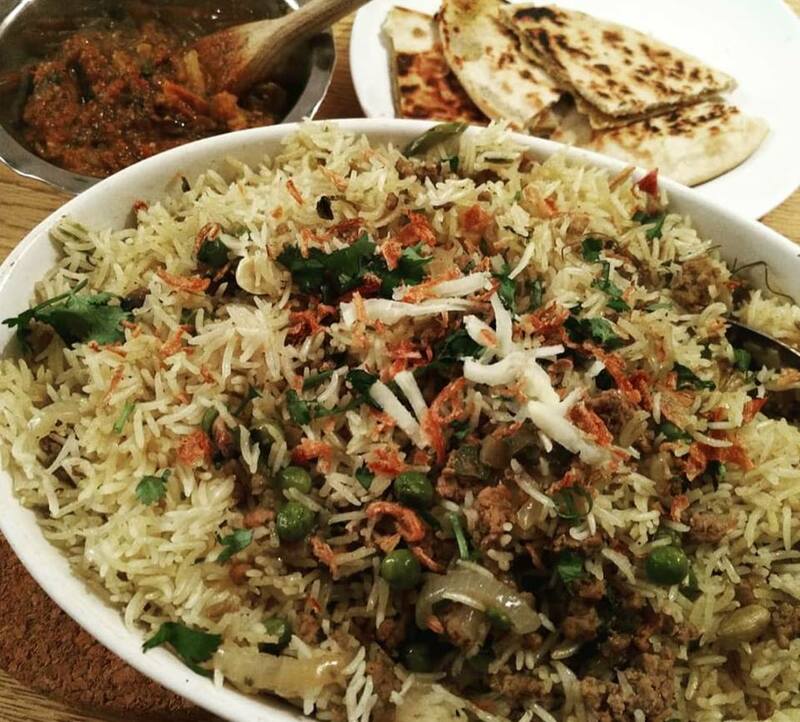 As mentioned in my last recipe I was going to use the same method to try and make a biryani. I did, and it was a great success! Easy to prepare in advance and then just stick in the oven for 30 minutes! This probably isnt very authentic as I have invented it myself but its very tasty! Put all the spices and salt into a bowl and mix together then remove half. Add the lamb mince into the bowl with half of the spice mix and massage the spices into the meat. Heat the oil in a frying pan and gently fry the onions. After a few minutes add the mushrooms, peppers, chilli, ginger and garlic and fry together until soft. Add the lamb mince to the pan and break up into smaller pieces as it cooks. When the meat is almost cooked add the other half of the spices, cardamon pods, peas and a knob of butter and stir through for a few minutes. Pour in the boiling water, cover tightly with foil and cook on 220 degrees for 25 – 30 minutes, removing when the rice is cooked through. Stir the meat layer into the rice, top with chopped corriander and serve on its own or with curry sauce and naan! Check out my other curry recipes for a nice sauce.